Hand Drawn Vector Abstract Cartoon Modern Graphic African Safari Nature Illustrations Art Collage Seamless Pattern With Tigers,lion,crane Bird And Tropical Palm Leaves Isolated On Black Background. Royalty Vrije Cliparts, Vectoren, En Stock Illustratie. Image 115457317. 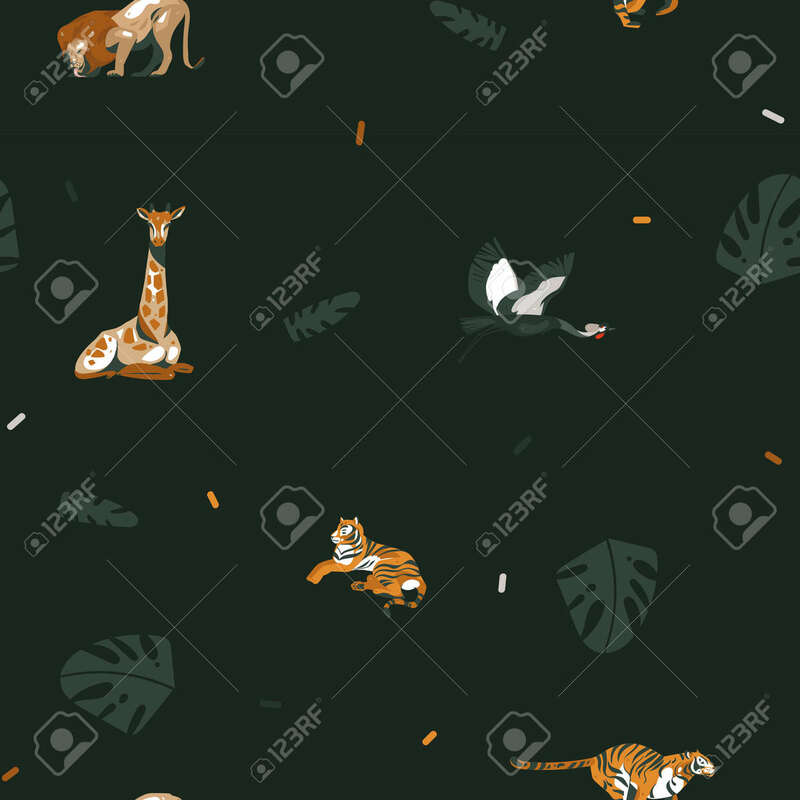 Stockfoto - Hand drawn vector abstract cartoon modern graphic African Safari Nature illustrations art collage seamless pattern with tigers,lion,crane bird and tropical palm leaves isolated on black background. Hand drawn vector abstract cartoon modern graphic African Safari Nature illustrations art collage seamless pattern with tigers,lion,crane bird and tropical palm leaves isolated on black background.